So this article is going to tell you all the reasons that would beg you to buy a ps3 and not xbox 360 . As the title suggests , The main reason to buy a Sony ps3 is the list of the amazing games that are available in the market . Did you know that Sony PS3 has 200 exclusives till date ! Compared to Xbx 360 - they have 150 . You must be saying that 150 is also not bad but when you see the games , you will come to know that sony PS3 exclusives are better . The only Microsoft Xbx 360 exclusive that can be compared are HALO series and Gears of War series . Uncharted is an award-winning action-adventure platform video game series developed by Naughty Dog and published by Sony Computer Entertainment for PlayStation consoles. 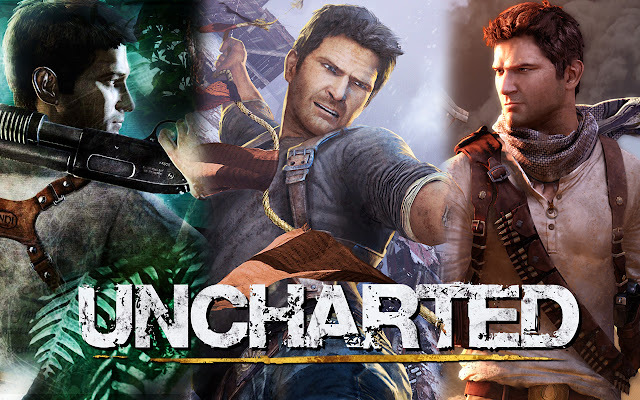 The series follows modern-day treasure hunter Nathan "Nate" Drake, journalist Elena Fisher and former companions Victor Sullivan,Chloe Frazer, and Charlie Cutter (the latter two joining in future titles), as they travel around the world to uncover (and steal) various historical mysteries. Infamous, stylized as inFAMOUS, is an action-adventure open world video game for the PlayStation 3 video game console. It was developed by Sucker Punch Productions and published by Sony Computer Entertainment. The game was released internationally in May and June 2009. In Infamous, the player controls the protagonist Cole MacGrath, a bike messenger caught in the center of an explosion that devastates several city blocks of the fictional Empire City. The explosion sends the city into chaos while Cole finds himself with new electricity-based super powers. 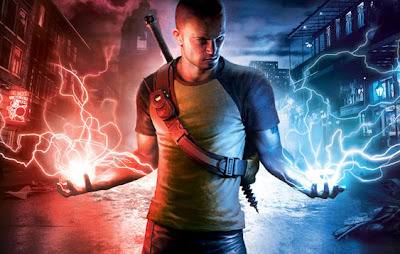 Though the game's story follows Cole using his new abilities to restore some semblance of order to Empire City, the player is given several opportunities to use these powers for good or evil purposes in the game's Karma system. These choices ultimately affect character growth, the reaction of the City's populace towards Cole, and finer elements of gameplay and the story. 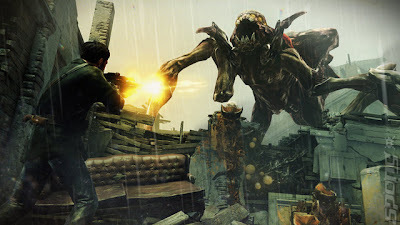 Resistance is a science fiction horror series of first-person shooter and third-person shooter video games developed by Insomniac Games and published bySony Computer Entertainment for the PlayStation 3, PlayStation Portable and PlayStation Vita video game consoles. The series takes place in an alternate history around the year 1950, in which an alien civilization known as the Chimera have invaded and conquered much of Earth, expanding their armies by capturing humans and transforming them into monster-like supersoldiers to fight on their behalf. The player takes the role of one of the remaining human armed forces as they fight against the Chimera invasion. The series is noted for its use of both conventional and futuristic weaponry, reflecting Insomniac's previous work on the Ratchet & Clank series. God of War is an action-adventure video game for the PlayStation 2 first released by Sony Computer Entertainment's Santa Monica division in March 2005. 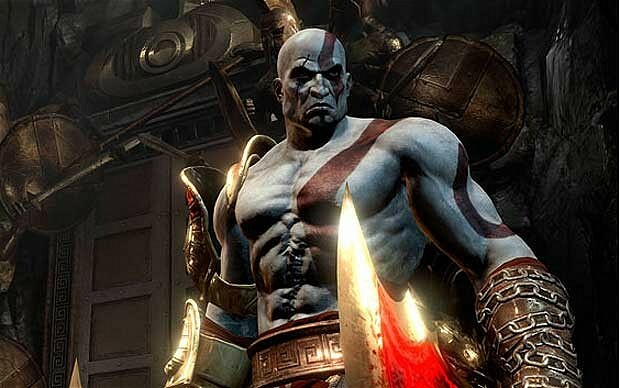 It is the first installment in the God of War series. God of War was remastered and released in November 2009 as part of the God of War Collection for the PlayStation 3. Loosely based on Greek mythology, God of War is chronologically the third chapter in the series, and forms part of a saga with vengeance as a central theme. The game focuses on protagonist Kratos, a servant of the Olympian Gods, who must stop the God of War, Ares, from destroying the city of Athens by finding the fabled Pandora's Box. Starhawk is a third-person shooter video game released exclusively for the PlayStation 3 system on May 8, 2012 in North America, May 10, 2012 in Japan and May 11, 2012 in Europe and Australia. It is the spiritual successor to 2007's Warhawk. The most notable change from Warhawk is the addition of a single-player story mode, which was intended to be included in Warhawk but was eventually removed. The gameplay is similar to Warhawk. A new system called "Build n' Battle" allows players to build structures such as bunkers, defenses, and armories in the midst of battle, giving the game a real-time strategy (RTS) feel while remaining a third-person shooter. 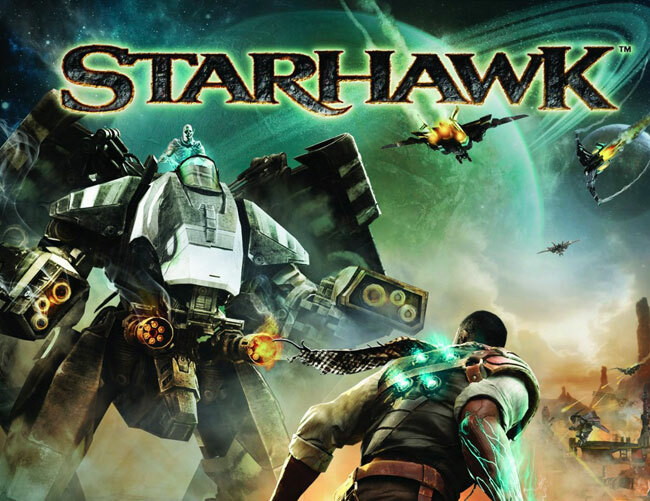 The game includes flying mechs called Hawks. A player respawns into a landing craft which they can steer with in a limited range to reach the battle field. Like Warhawk, there are 32-player online battles. Starhawk also has a co-operative mode similar in concept to the Horde Mode in the Gears of War franchise. LittleBigPlanet, commonly abbreviated LBP, is a puzzle platformer video game series created by Media Molecule and published by Sony Computer Entertainment across multiple PlayStation platforms. The series follows the adventures of Sackboy and has a large emphasis on gameplay rather than being story-driven. All of the games in the series put a strong emphasis on user-generated content and are based on the series' tagline "Play, Create, Share". The tagline represents the three core elements of the series; Playing alone or with others online or on the same console, creating new content using the in-game creation tools and sharing creations and discoveries online with other players. Metal Gear Solid 4: Guns of the Patriots is a video game developed by Kojima Productions exclusively for the PlayStation 3 console. 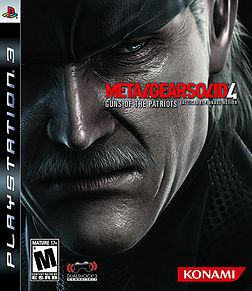 The game was directed by Hideo Kojima and made its worldwide release on June 12, 2008, ten years after the release of Metal Gear Solid and twenty years after the North American release of Metal Gear. Guns of the Patriots received widespread critical acclaim, garnering perfect reviews and Game of the Year awards from several major gaming publications, including GameSpot, which claimed that the game is "technically flawless". The game has been a financial driving force for Konami, reaching 5 million units sold in the financial year of 2009. 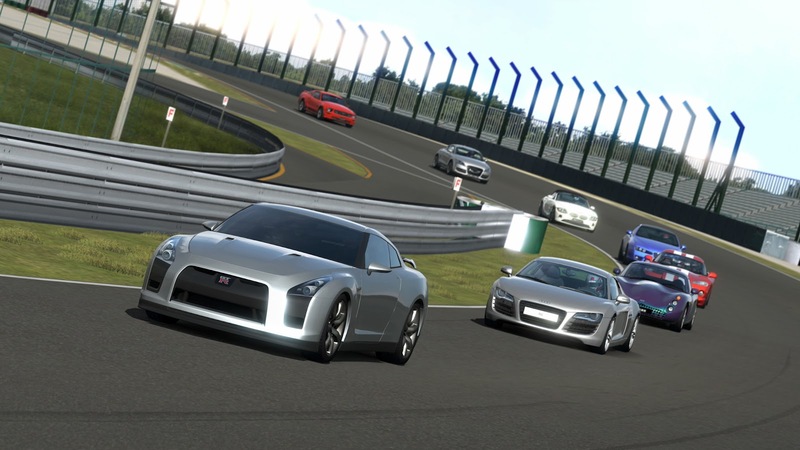 Gran Turismo 5 commonly abbreviated as GT5) is the fifth edition of the Gran Turismo sim racing video gameseries. Developed by Polyphony Digital and published by Sony Computer Entertainment, it was released for PlayStation 3 on November 24, 2010. It expands on the game's Prologue version and is the first entry of the series to be developed for PlayStation 3. The game marks the first entry in the series with online races with support for up to 16 players. A damage model has been included with variations of damage depending on whether the vehicle falls into the "standard" or "premium" category. Over 1,000 cars, 26 different locations, and 71 different tracks are available in the game. Night racing also returns. Journey is a video game developed by Thatgamecompany for the PlayStation 3 and which is distributed on the PlayStation Network. The game features the player as a robed figure in a vast desert, journeying towards a mountain in the distance. Along the way the player can meet other players on the same journey; the two players can assist each other, but cannot communicate via speech or text and are not shown each others' names until after completion. The game was released on March 7, 2012 for PlayStation Plus subscribers, and was fully released on March 13. It has been met with significant critical acclaim. 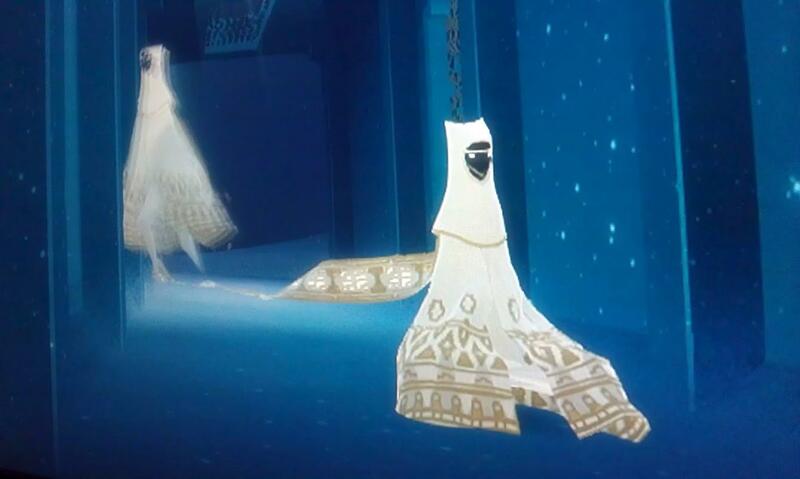 Journey is the last game made under a three-game contract between Thatgamecompany and Sony, the first two being Flow and Flower. A retail "Collector's Edition", including Journey, the two Thatgamecompany's previous titles, and additional media, is set for release in late 2012. MotorStorm is a racing game series published by Sony Computer Entertainment and is developed by Evolution Studios, and Bigbig Studios. The titles are "off-road racing" games featuring different types of vehicles with their own strengths and weaknesses and tracks with different terrains which may either hinder the vehicles' handling, or improve it. 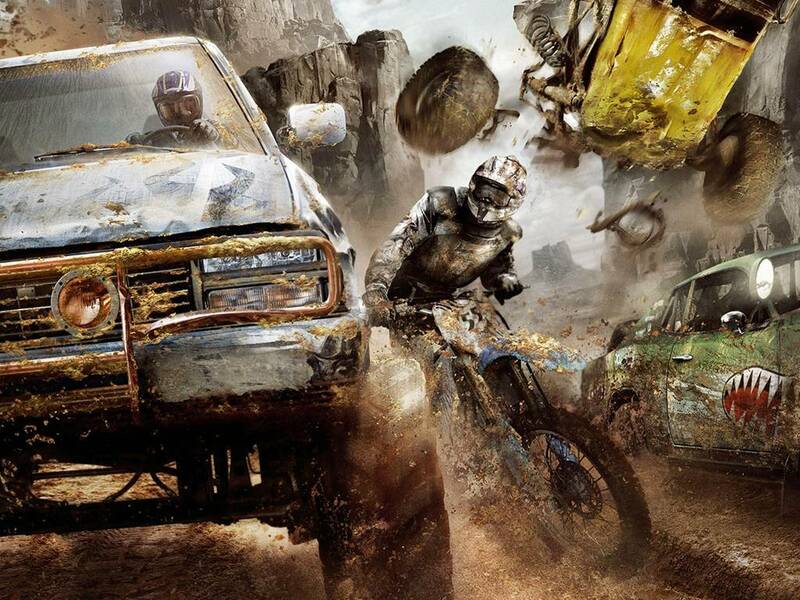 The central premise of the series is a gathering of off-road racing enthusiasts for an event entitled the "MotorStorm Festival". Participants in the MotorStorm Festival are not limited to their vehicle choice for any event and cutthroat racing is encouraged. Races allow for any combination of vehicles to be used together in a single event. 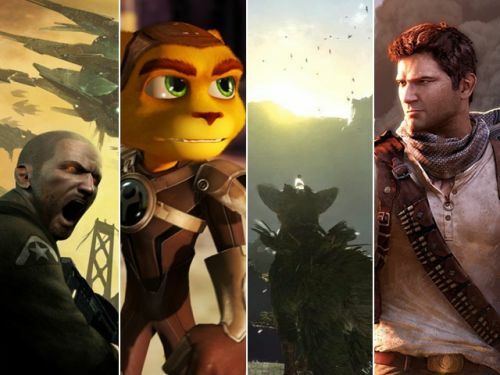 These are just the top 10 ps3 exclusives available in the market now , but there's a lot more coming like The Last Of Us , The Last Gaurdian , Twisted Metal , Jax and Dexter Collection , God of War - Ascension , Sly Cooper - Theives in time , Sorcery , Dust 514 , Little Big Planet Karting ,One piece pirate warriors and some more also have been announced . There are just so many rumors coming that ps4 and xbox 720 are going to be launched the next year in 2013 . Don't get sad , that is not going to stop you from buying a ps3 . The rumor is that sony and microsoft are gearing themselves up for a late fall release in 2013 for their new consoles . That is one and a half year from now ! If you buy a ps3 and start playing its exclusives , well you would never end it in a year and a half . Even if you get bored of playing ps3 exclusives , you can jump into the world of the developers who make their games available to both the consoles . The best ones are - Batllefield 3 , Max Payne 3 , Need For Speed : Hot Pursuit , Assassin's Creed series and there are many more . • Playstation Network is free unless you want to take their membership , which is not mandatory . The free member content is not so bad , you get free demos of latest games and get hands on beta of latest games that are going to be released some months after that . • Get a ps3 , no need for a blu-ray player in the future . • Better , Bigger games that have better graphics because of the blu-ray . • Playstation Move games are great and has better accuracy than Kinect games . • Compatibility with Sony Playstation Vita , which is the best handheld gaming device ever . Well , it all depends on you . Do you think PS3 has been beating Xbox 360 since its launch ? 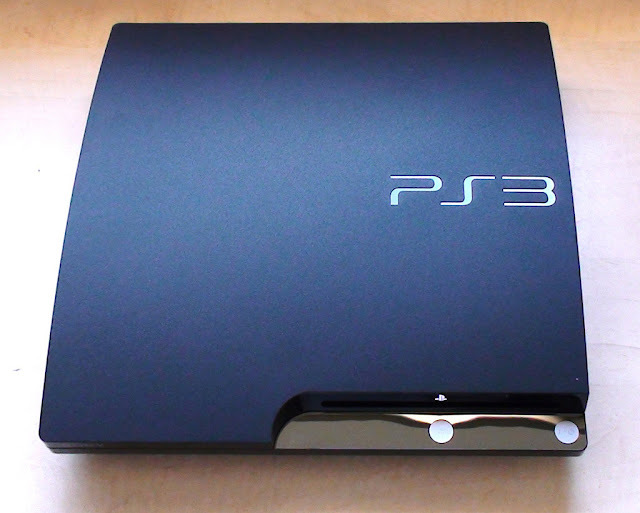 What do you people think about PS3 ? Let us know in the comments .